Despite abundant evidence and published guidelines calling for conservative initial treatment of most back pain through methods including physical therapy and over-the-counter medications such as ibuprofen and acetaminophen, a study published in JAMA Internal Medicine ("Worsening Trends in the Management and Treatment of Back Pain" - September 23, 2013) indicates that physicians often over-treat back pain, with increases in use of imaging, narcotics, and referrals to other physicians. The over-treatment leads to unnecessary expenses. 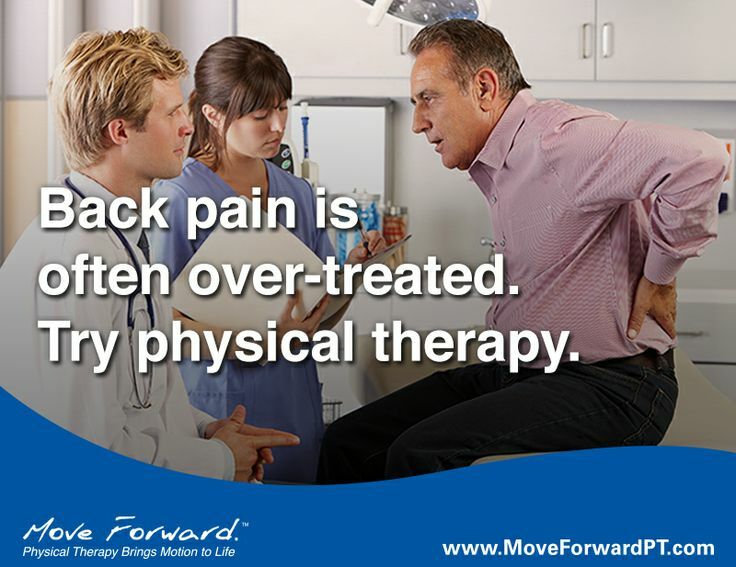 In a September 19, 2013, episode of Move Forward Radio, a physical therapist discussed the findings of the study and described how the medical community's understanding of back pain has evolved over the years. Early physical therapy has been shown to be a cost-effective treatment for low back pain.